It was a frosty start to the day as this image of the sheep in a field before we rounded them up illustrates. 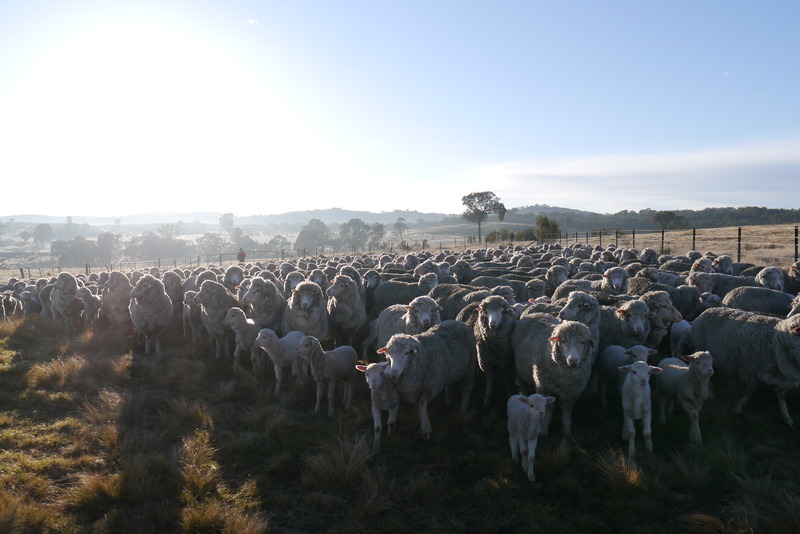 The work similar to yesterday also included mulesing, a procedure used to prevent fly infestations in merino sheep used in the wool industry. I was given the task of giving vaccinations and applying anesthetic. Again i enjoyed being outdoors and working as part of a fun friendly team even though the work was hard and messy. 21 Aug	This entry was published on 21/08/2012 at 06:04 and is filed under Uncategorized. Bookmark the permalink. Follow any comments here with the RSS feed for this post.